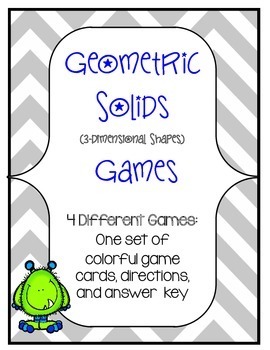 This colorful set of 3D games allows for differentiation while students practice identifying and analyzing 3-dimensional shapes and their nets. 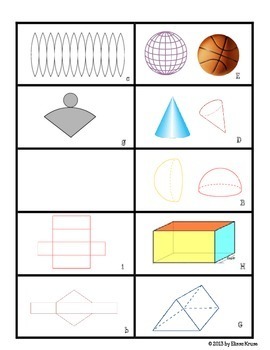 They will develop an understanding of their features such as edges, vertices, and faces of geometric solids. A variety of skills are required for the games, which can be used for students in many grades. 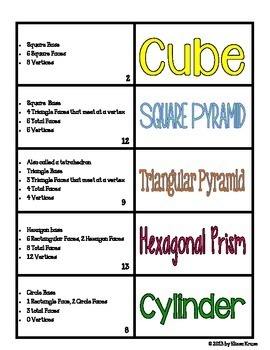 Use as math centers, as whole class activities, group work, or as homework. You can even use them as flashcards. 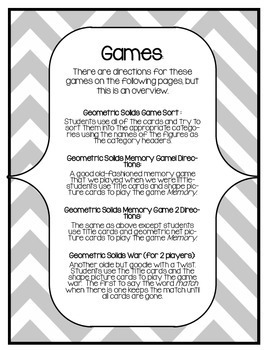 Some games are more difficult than others, so depending on the needs of your students, you can differentiate for them.